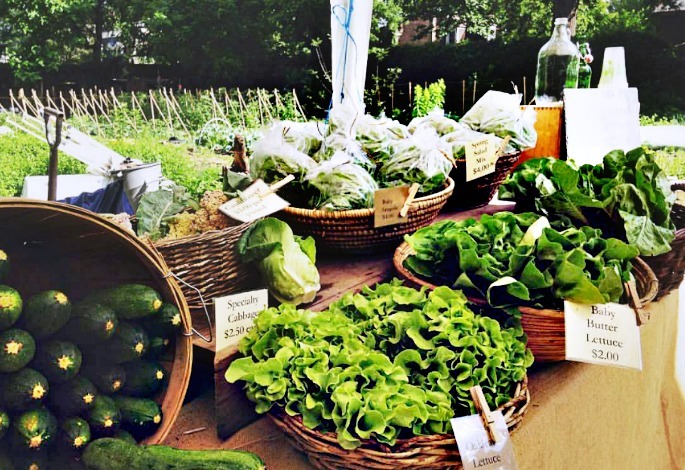 Germantown Kitchen Garden specializes in greens of all kinds, from tender baby salads to buttery lettuces to beautiful bok choy and robust kale. Delicate specialty onions and shallots, garlics and scallions, radishes and turnips, beets and carrots, fresh herbs and teas, as well as strange favorites like gooseberries and currants round out our list of gourmet goodies grown at the farm. When you shop at the farm stand, you will have access to fresh and delicious veggies, fruits and herbs, and some of the finest homemade sourdough bread and home-brewed kombucha as well. Michael’s Bread and Mother Superior Kombucha join the farm stand each weekend to offer these artisanal treats. And don’t forget the plant nursery! You’ll find a wide variety of perennials, shrubs, and trees. From Asters to Wild Violets, the nursery has you covered! See all the varieties here. The farm stand will be open every Saturday, from May through October. 215 E. Penn St.